I have tried lots of different ethnic foods: Mexican, Chinese, Italian, Thai, Indian, Spanish, German…the list goes on and on…but one thing I had never tried is African food. 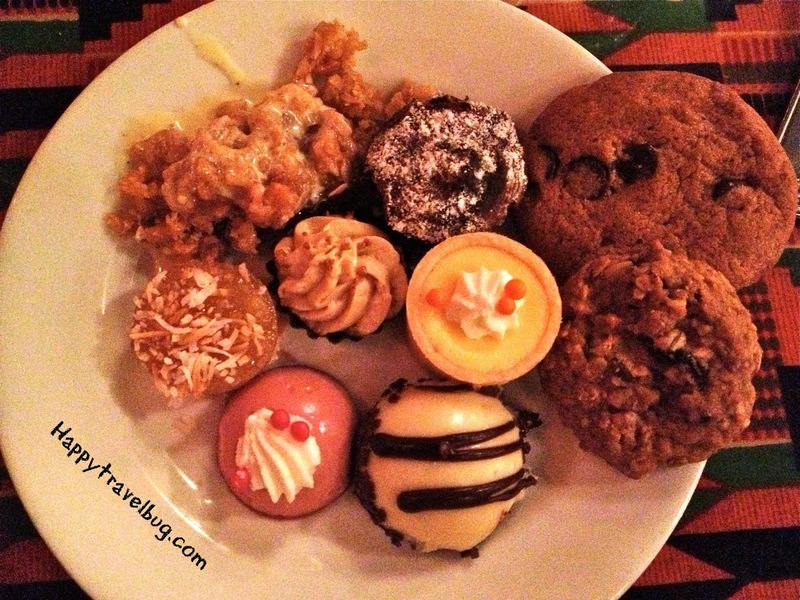 That is why I was so excited to try the Boma buffet at the Animal Kingdom Lodge in Disney World. I figured there would be lots of new things to experience. As I said, Boma is located in the Animal Kingdom Lodge. I have never stayed there before, but would love to. Especially now that I have seen it. Would have to have one of the rooms that looked out over the animals! Anyone ever done that before? Now on to Boma! The very colorful name went with the decor, the food and the outfits the employees were wearing. That’s me, below, with one of the hosts. Then it was time to explore the buffet. I took this video of everything the buffet offered the night we were there. I think they change it up a little based on what I read on their website. But I explain everything in the video. This plate contained my favorite thing: the Durban spiced chicken. I don’t know what that is, but it was delicious! I also had (from the top) the African spiced beef, beans, fufu (the orange stuff), nut crusted salmon (a little dry), bobotie, pap, chakalaka and rice. The pap tasted just like grits and the bobotie was ground beef and eggs and quite tasty. My favorite thing on this plate was the curried pasta salad. I do love curry! Next to that was the chickpea & edamame salad, Ghana tomato salad with crackers, feisty green beans and couscous with dried fruits and nuts. I tried all three hummus flavors: sun dried tomato, black olive and white bean. They were all good, but the sun dried tomato was my favorite. The soup is seafood gumbo and it was also good, but not my favorite soup. That is coming up. This soup was the best! It was called mulligatawny and was an indian style soup with apples, rice and chicken. YUM! Along with that was my plate of many salads. The colorful one at the top is a watermelon rind salad. Interesting to try, not going back for more (very tart/bitter). 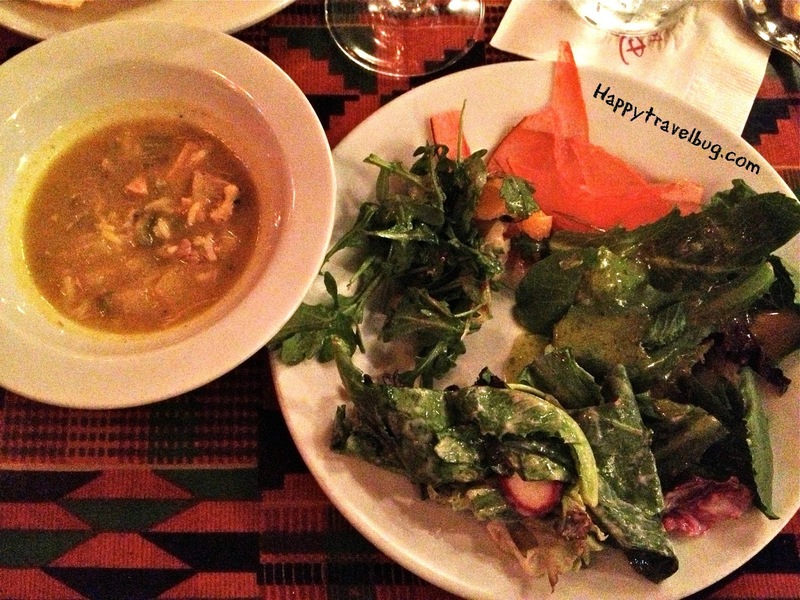 I was also having the apple & jicama salad along with the orange, olive and fennel salad. They had several fun dressings to try as well, including mango, apple and chili cilantro vinaigrette. I did really enjoy this buffet, although I feel it cost a little much for the kids. But we were at Disney World, not a place known for super low prices! I would like to try Jiko-the cooking place, next time I am at Disney. It is also an African restaurant at Animal Kingdom Lodge. But it is sit down menu stuff. Overall, I felt like I got to try some new things, which made me happy. Personally, I could have done without any Americanized things on the buffet and make it 100% African. But I know lots of people don’t like to be that adventurous with their food. What is your favorite ethnic food? Ever tried African? Animal Kingdom is one of my favorite resorts at WDW. Wish it was closer to the park, but I agree on the food – its the best of the WDW resotrs! The distance from the parks is the main reason I have never stayed there. But it would be cool to try it sometime. 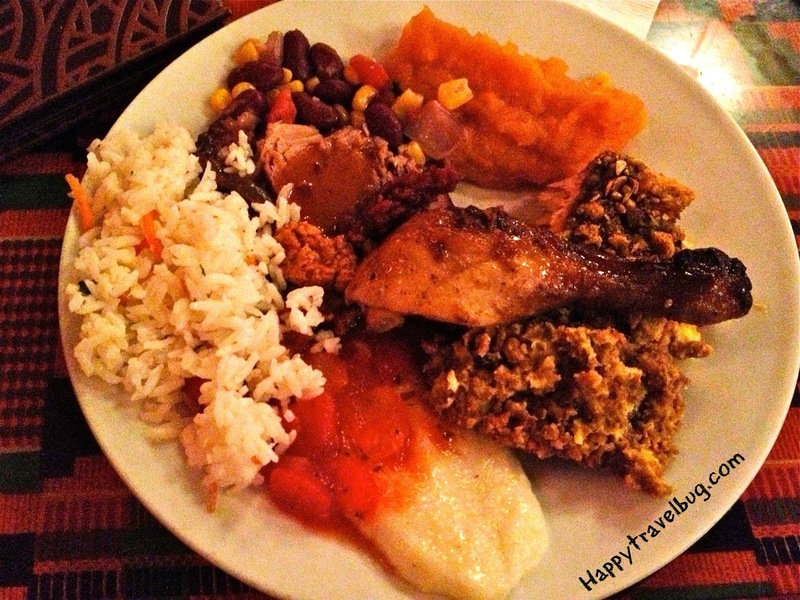 I have never tried African food or been to Animal Kingdom so this is such a refreshing post. All the food look delicious especially all that dessert. I'm always enjoying your Disney posts, so I am so glad I could show you something new and refreshing! It was a great experience! The names were as fun to say as the food was to eat! I mean…bobotie, fufu?! 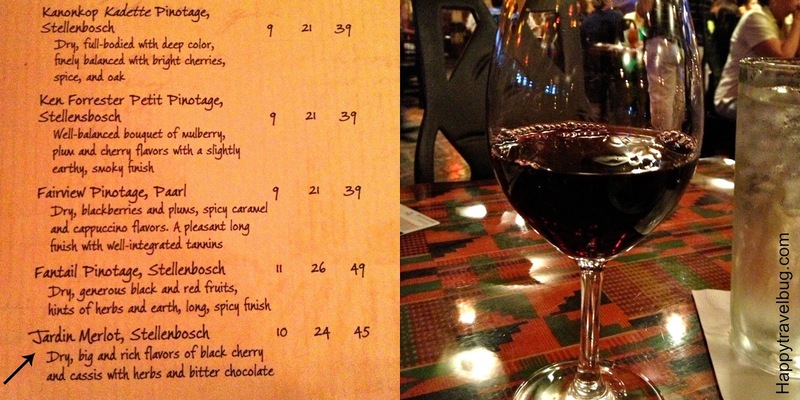 Most delicious looking selections there – will have to put African on my list of to try foods! I soooo want to go on a trip to Africa! That's one thing I love about Disney resorts and Epcot…it can feel like you are in another country. Hopefully I will make it to the real one though. Whoa, that's a lot of repeats, bet you needed to walk it off after that….the foot looks excellent. 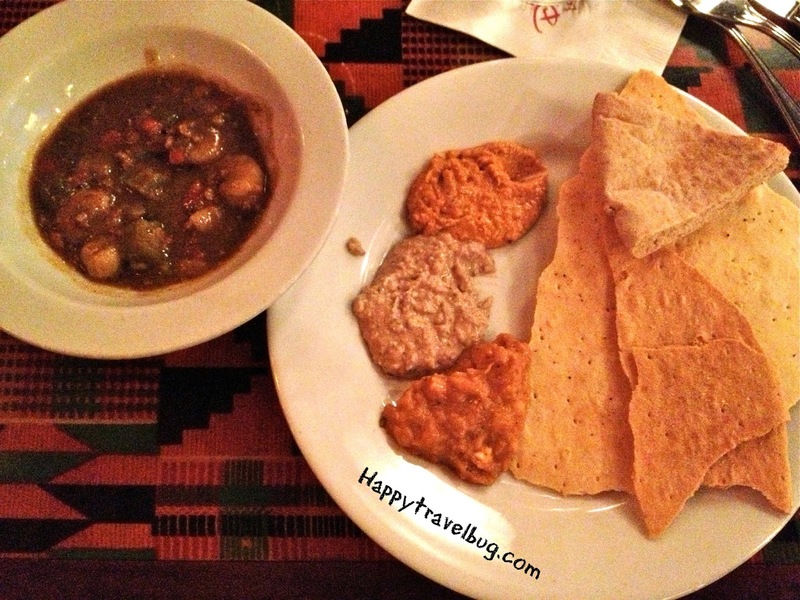 We went to a restaurant called Boma in Zimbabwe – wonder if they're related? I read your post! That's cool! I think there is some kind of connection between the restaurants if I remember correctly. Thanks for reading! Oh yum all of the food there looks so good!! 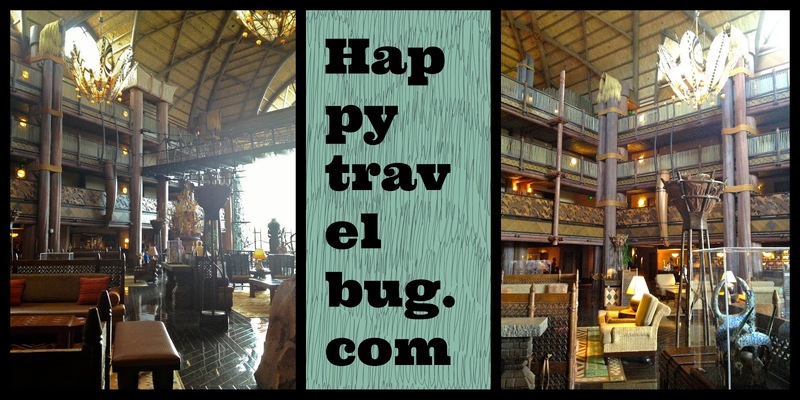 I've been to the Animal Kingdom Lodge but have never eaten there before! MMMM. Have you eaten anywhere else at the Lodge? I want to try other places there as well. You know, I'm not sure if I've had African food or not. But I have had wine from Africa. 🙂 The food here all looks fabulous! It's difficult to say which ethnic food is my favorite as I love so many. Right now, I'm tasting Thai – lemongrass and curry wake up my taste buds. I also love spicy food, love peppers as well. We stayed at the Animal Kingdom Lodge when I did the Disney Marathon a while ago but we ate mostly pasta and high carb foods that they provided for us. I've African food since both in NYC and on my trips. I still remember having mulligatawny at an airport restaurant in South Africa. I was feeling a bit achy and nothing appealed to me so I asked if they had soup. It wasn't even on the menu but the waiter said they'd make me some. It was the best soup I had, so flavorful, my travel buddies wanted some too. Now that you've reminded me of it, I'll check if it's on the menu at the SA restaurants in NYC. So excited for Wine and Dine half I am staying at akl! Great photos. Love Boma! It's a must do when we stay at AKL. This is a great, comprehensive overview of Boma- one of my favorites! Thanks for sharing. Looks beautiful! So warm and inviting. We just stayed there this summer! 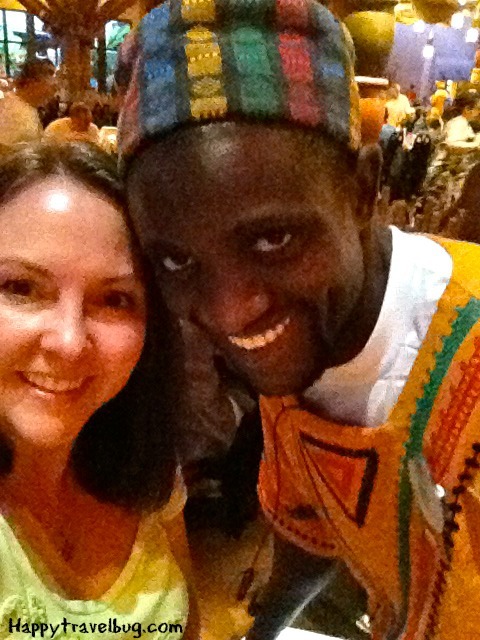 We'd eaten at Boma before and had to go back! The Durban Spice Chicken was also my favorite. You asked about having a room with a savannah view and I have to tell you it was awesome!! I highly recommend staying at the Animal Kingdom Lodge! (if the price has you concerned, consider renting DVC points for your stay!) Also, you mentioned trying Jiko, but don't forget there's another restaurant in the other section. Sanaa is amazing! I love Boma. You should definitely check out Jiko next time. It's amazing. I love it.Boma – Flavors of Africa is one of the more unique dining encounters found in Walt Disney World,where the soul of Africa comes alive.It is a transparent space encompassed by a kraal-style wall made of sticks.